This week’s Sound For Sound is the column’s first look into hip hop’s glorious past. Brooklyn’s Chubb Rock returned to the game in 1991 and put rappers on notice. The LP’s singles “Treat ‘Em Right”, “Just The Two of Us” and “The Chubbster” drove the project’s commercial success, but the title track, “The One”, perfectly set off at least seven headbangers over the first nine tracks. Frankly, paired with Chubb’s stellar vocabulary and metaphors, the former Brown University pre-med student’s charisma in his delivery marked the major change from his past work. In addition to Chubb’s cerebral braggadocio onslaught, across three impressive verses, “The One” featured one of the best uses of one of hip hop’s funkiest samples in The 9th Creation’s song “Bubble Gum” (Ritetrack Record Co.,1975). Between Chubb’s pen and menacing delivery, plus DJ Howie Tee’s locked in production over the bulk of the 16 tracks, the only thing that held them back might have been the fact they were signed to Select Records. Select had a nice roster (Kid ‘n Play, M.O.P. ), but the outfit never really catapulted any of its artists to box-office status. 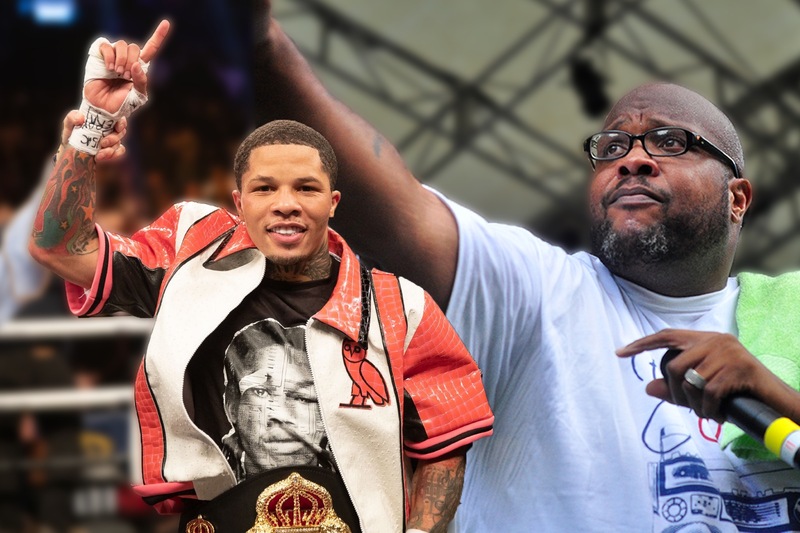 This Saturday, many fans anticipated the return of one of boxing’s brightest young stars in undefeated WBA Super Featherweight champion Gervonta Davis. Peep bruh’s gaudy 95% KO ratio. Catching Davis back in action is great, but a bout versus former two-time champion Abner Mares did very little to solidify Davis’ billing as boxing’s next “One”, frankly. Nor will Mares’ replacement Hugo Ruiz. Chubb Rock dropped The One after making some noise in 1989 with And The Winner Is… (mainly behind “Ya Bad Chubbs”). Winner was preceded by his debut album Chubb Rock the year before with DJ Howie Tee – the duo’s primary producer. Davis makes his return Saturday after only fighting once in 2018, and now trying to restore the 2017 buzz created by his flawless seventh round TKO performance against then undefeated IBF Super Featherweight champion Jose Pedraza. That summarizes the long-term vision for Tank, that the Baltimore native elevates himself to earning lucrative purses, winning championships in multiple divisions, becoming a Pay-Per-View attraction and, lastly, to fulfill the lofty expectations associated with being touted as Floyd Mayweather’s protégé. The hip hop head in this writer just couldn’t move on from the aforementioned sample by Stockton, California’s The 9th Creation. So, this S4S has another first in a double-play. The head nod inducing “Bubble Gum” sample also served as the backdrop of another two-man crew’s major hit (DJ Kaos also deserves mention) over three years later. Producer T-Ray differentiated his version with a horn not found anywhere in The 9th Creation song. In 1994, rappers El Da Sensai and Tame One of Newark, New Jersey dropped their debut song and video “Wrong Side of da Tracks”, and The Artifacts rode the single’s success to the No. 2 spot on Billboard’s US Heatseekers Album charts. Newark. Coincidentally, the same hometown of 2016 U.S. Olympic silver medalist and fast-rising 10-0 Featherweight prospect Shakur Stevenson. Stevenson closed out 2018 showing solid signs of maturation, stopping four of his last five opponents. After his fourth round knockout of Jessie Cris Rosales January 18 in Verona, NY, the new WBC Continental Americas and IBF Intercontinental champion boldly called out the UK’s IBF Featherweight world champion Josh Warrington – for a fight in England. Stevenson, and his vibrant smile, could be poised to make his own run at becoming boxing’s next ‘The One’. Unfortunately, we’ll all have to check back in with Davis for the announcement of his next bout.